(It’s free and quick to sign up – you can print your rewards card to use in the store today). 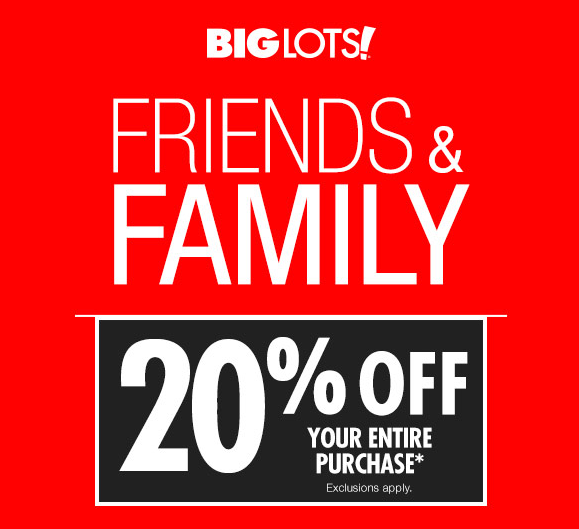 Shop Big Lots online Saturday and get 20% off when you log into your Rewards account (plus free shipping on orders of $99 or more). Print coupon, or present barcode to cashier on your mobile device. Shop Big Lots online Sunday and get 20% off automatically – no coupon code needed (plus free shipping on orders of $99 or more). You’ll find a good grocery selection, including some natural and organic products, candy, treats, toys and seasonal decorations. It’s also a great time to shop for storage bins for any organization needs! There are always some great deals to be found at Big Lots if you have the time to look! Score a great deal on a Serta Twin Mattress (regular price is $99) – you’ll pay around $80 + tax after coupon! Take a look at the Big Lots ad and see where you can stack the savings for a great match-up! What are YOUR favorite Big Lots finds? Young Living Essential Oils: Starter Kit Sale! This starter kit includes the everyday oils that I still use most often. You’ll get over $300 in products for just $144 with this sale – that breaks down to less $10 a bottle for the highest quality oils available on the market. Plus, you will have access to a super fun and educational group where we share all about how to use your oils. That makes this deal more like a $124 cost with a value over $300! Do you have questions? Want to know more? Read the Young Living Frequently Asked Questions for more information. You may also contact me with any additional questions you may have. Grab this Sale on the Young Living Starter Kit while it lasts! Head over to the Young Living page and fill out your information before the end of the day January 14, 2019. *Once you have your wholesale membership you don’t have to do anything else to get wholesale prices. No minimum orders needed. No buying or selling to anyone required. Make sure the “Wholesale Member” option is checked so that you don’t end up paying retail prices. Select your starter kit. To get the extra bonus items from me, you’ll need to check the option that says “Premium Starter Kit”. I will send the you my special welcome package when you choose any of the “Premium Starter Kits” available. I chose the Premium Starter Kit with the diffuser when I was getting started and I highly recommend it! Fill out this online form with your name and mailing address so I can send your free bonus items (educational materials and $20 Amazon card!). Salvation Army Thrift Stores: 50% off Clothing on January 1! Listen while you shop for additional in-store specials to be announced as the day continues – more than just clothing will be added to the discounted items. Shop early for the best selection of gently-used (and sometimes new) items! For more information, call your local store or visit the website. See if your store is participating here. You can also visit the Salarmythrift page on Facebook. They would love it if you would share your finds on social media to @semiarc and/or #sallysavings. Kroger: Online Gift Card Deals that earn you fuel rewards! Kroger has an online gift card site that allows you to purchase eGift cards online while still earning fuel points with your purchase. Each day from December 12 through December 23, they will feature a new gift card promotion. Your purchase needs to be made online and you will receive the gift code sent to the email address provided at checkout. All of these gift card deals have limited quantities available and are sold on a first come, first served basis. Most of these offers are around a 15-20% savings off face value! TIP: Gift cards do not need to be used as gifts. Buying discounted cards like these is a great way to reduce spending on items you plan on purchasing anyway (whether it’s dining out, buying gifts or essentials). $40 for a $50 Brinker gift card (Chili’s, Maggiano’s, On the Border restaurants) – a 20% savings! $40 for a $50 DSW Shoe Warehouse gift card – a 20% savings! $20 for a $25 Cold Stone Creamery gift card – a 20% savings! Visit the gift card promotions page through December 23. Add a gift card to your cart while the promotion is available. The discount will appear automatically in your cart (no coupon code needed). If you don’t see any discount, then the promotion has ended. Check out as a guest or create a new account. Though this is a Kroger hosted site, your Kroger.com login you use for clipping digital coupons will not work here. It appears to be under the operation of Gift Card Mall. Enter your Kroger Shopper’s Card number (or 10 digital alternate ID) near the bottom of the page to receive fuel rewards points for your purchase (this is optional). Fuel points may take 48-72 hours to be applied to your Kroger Family of Companies loyalty account.  Your digital gift card will be sent to the email address provided at checkout. You can print it to use it at a store or give as a gift – or use the gift card code in online purchases, when available. Looking for more ways to save on gift cards? Take a look at these Gift Card Bonus Offers for 2018! Target Gift Card Sale: Save 10% off on December 2! If you’re a Target shopper (or giving a Target gift card this year), you’ll want to take advantage of this Target gift card sale to stretch your money even further! 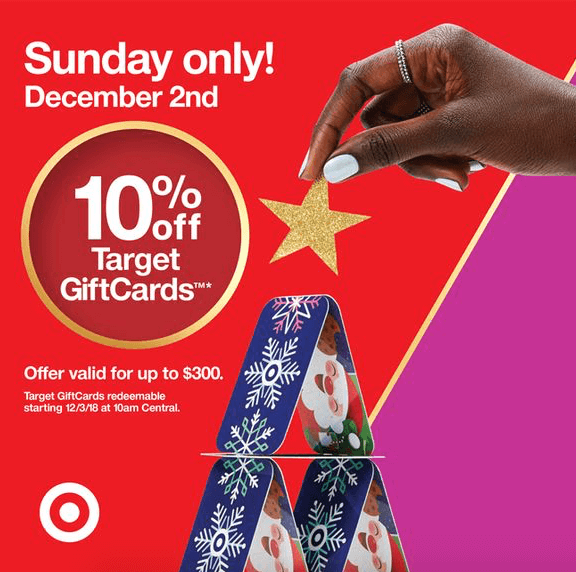 On Sunday, December 2, 2018 only, you can save 10% off with a rare Target gift card discount! 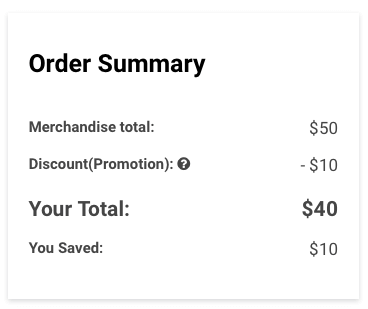 If you’re looking to buy an expensive item at Target this season, it’s also a clever way to save 10% off your own future purchase. Since Target gift cards NEVER expire and you’ll get free shipping, you can grab an amazing deal from home! (I still can’t believe they’re offering a discount this steep!). You can also visit your nearest store for the Target gift card sale. Limit 1 transaction up to $300 total in Target GiftCards purchases per person (maximum $30 discount). Minimum GiftCard purchase is $10. You can spend these gift cards beginning Monday, December 3 at 10 a.m. CST. Target GiftCards are solely for use at Target stores and on Target.com. This discount doesn’t apply to Target Visa, MasterCard or American Express gift cards or other retail and restaurant gift cards available for sale at Target. It includes Target store gift cards only. Shop the 10% off Target Gift Card Sale today! View more Gift Card Bonus Offers for 2018!